But, there is good news, my friends. With just a few small changes, you can reduce your food waste AND save a good chunk of change on your grocery budget! Want to know the solution?? Once upon a time, we both used to let meat and produce go bad in our fridge and toss stale bread and leftovers in the trash. 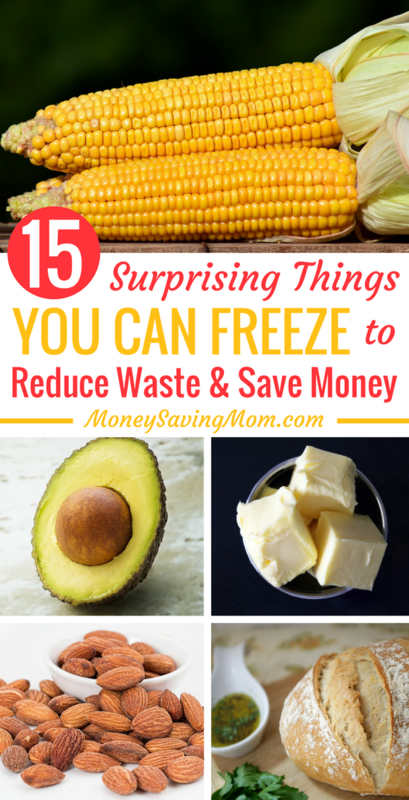 But over the past decade, we’ve learned that utilizing our freezer and making freezer meals can not only save money and food waste, but also reduce time in the kitchen on busy nights. To keep them from browning, peel and seed the avocado and then pulse it in a food processor with a tablespoon of lemon or lime juice. Freeze in an airtight container. Thaw and use in guacamole or a smoothie. After using what you need from the ginger root, peel it and place the rest in a freezer bag. Then, use a grater to zest what you need directly off the frozen ginger root the next time you need to use it. Before cutting into those citrus fruits, give them a quick rinse and zest. Then freeze the zest in a small freezer bag or mason jar. Use in baked goods, marinades, or sauces. After cooking sweet potatoes, scoop out the flesh, pack it evenly in a muffin tin, and freeze until solid. Then, pop these 1/2 cup portions out and transfer them to a plastic freezer bag. These small portions can easily be used in future recipes, like Sweet Potato Pancakes, smoothies, or homemade baby food. Cooked or uncooked, you can toss bacon in your freezer at either point, as long as it’s tightly wrapped! This is a great way to save money when it goes on sale or when you cook too much. Keep extra fresh whipped cream in a glass freezer container with airtight lid to make your next early morning coffee extra special! Just scoop out a spoonful and stir it into your warm beverage. Drop corn on the cob into boiling water and cook for 4-6 minutes. Remove from boiling water and immediately plunge it into a bowl of ice water. After corn has cooled, cut off the the kernels and freeze in an airtight freezer bag. We love to stock up on butter when it goes on sale. You can freeze it in its original packaging, but it may last longer if you slip it into a gallon-sized freezer bag. Using either a muffin tin or ice cube tray, freeze buttermilk in small portions to have on hand for future recipes like Whole Wheat Buttermilk Biscuits. Then, pop these small frozen portions out and place in a freezer bag in the freezer. When cheese blocks go on sale, stock up and shred them yourself. Freeze in 2 cup portions to always have fresh cheese available. Don’t toss out stale bread or the heels that don’t get eaten. Instead, throw them in a large freezer bag in the freezer. Once a few have accumulated, toss them all in the food processor and make bread crumbs. Freeze them in a plastic freezer bag or container for easy access. These are great for recipes like Homemade Chicken Nuggets or Chicken Parmesan Casserole. This is a great ingredient to buy in bulk and freeze for later to make a hearty, healthy breakfast like Instant Oatmeal Packs or Apple Cinnamon Baked Oatmeal. Spread dry, clean whole or chopped leaves onto a baking sheet and freeze overnight. Place the frozen herbs into a plastic bag or jar for later use. For longer storage, freeze herbs by dicing them up, packing them into an empty ice cube tray and topping it off with water until about 3/4 full. Again, package these small cubes in a large freezer bag to grab for soups or sauces. Save money on nuts by buying in bulk. Store them in in airtight containers to keep them from going rancid. Don’t let your bakery items go stale — freeze them! When you’re ready for them, thaw at room temperature before using. So let’s be real. Are you going start freezing all of these things tomorrow? If you’re like we were, probably not. But we encourage you to start taking small steps in this direction. Simply choose one or two and get the hang of it. Once you start reaping the benefits of utilizing your freezer, you’ll be motivated to incorporate it more and more into your daily life. Want to learn more about freezer cooking? We’ve packed our 15+ years of combined freezer cooking experience into our new cookbook, From Freezer to Table. In our book, we share over 75 delicious, whole food, easy recipes that can be made fresh or frozen. In addition to our family-friendly recipes, we teach you freezer cooking basics, as well as, how to host a Freezer Cooking Party or run an on-going Freezer Club. So what do you say, friends? Time to get freezing (and money-saving!). 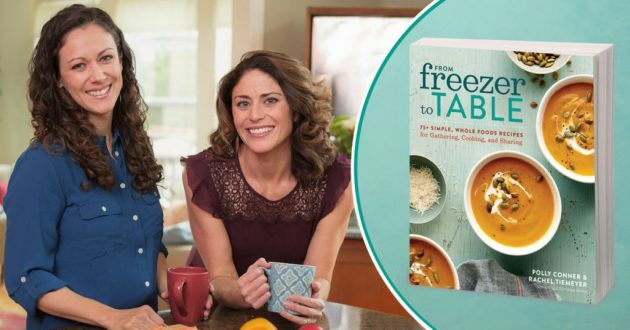 Polly Conner and Rachel Tiemeyer are friends and moms who began Thriving Home in 2012, as a way to encourage other moms by sharing tips, anecdotes, and healthy recipes from their own homes. After freezer cooking for their families for over a decade, they now jokingly refer to themselves as “freezer meal evangelists”. Their blog is a top-ranking site for healthy freezer meal resources. Just a reminder that this deal ends tonight!! Last chance! Just in time for fall, I’m SO excited to see that our popular Raglan style t-shirts are on sale this week! Through September 30th, you can get a Choose Raglan Shirt for just $16.95 shipped with coupon code CHOOSEFALL at checkout! There are four different phrases to pick from: Choose Joy, Choose Hope, Choose Kindness, and Choose Happy. Some of these are phrases we’ve used in the past — including the most popular Choose Joy! We also introduced two new phrases: Choose Kindness (inspired by how much I loved the book Wonder) and Choose Happy (inspired by The Happiness Dare book I read last year that impacted me on a deep level). 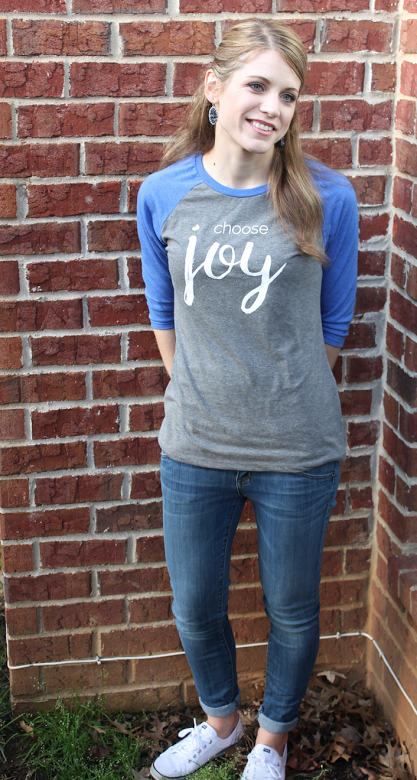 My favorite is the Choose Joy shirt! I love having the reminder to choose joy every day in every circumstance, plus I LOVE the blue color! 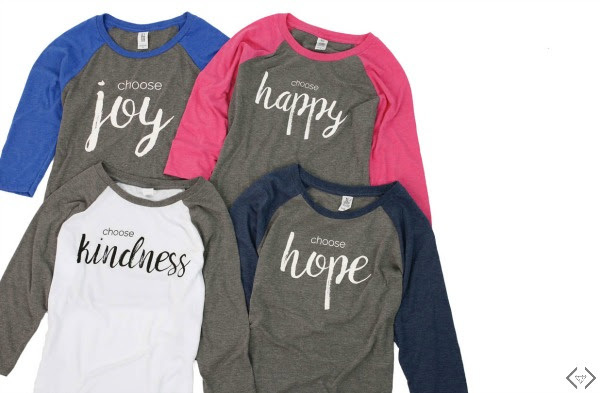 Go here to get your Choose Raglan Shirt for just $16.95 shipped. Valid through September 30, 2017. Get a Give Thanks fall t-shirt for just $13.99! 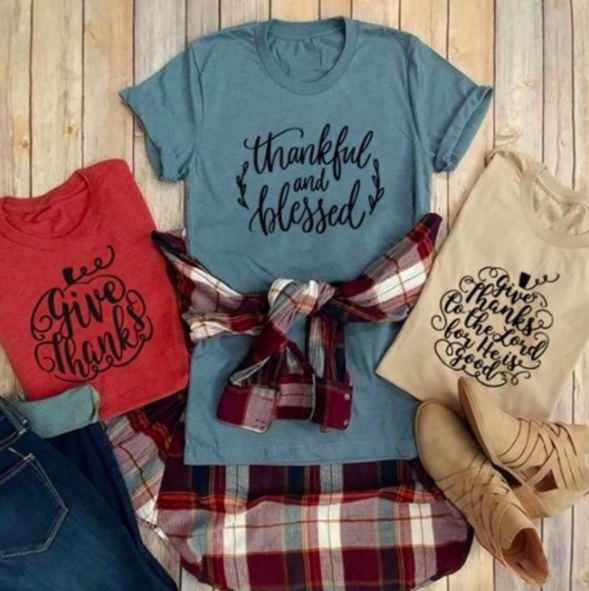 Jane has these super cute Give Thanks fall t-shirts for just $13.99 right now! There are 6 colors and 5 styles to choose from! You can do any combo you’d like. These would make fun gift ideas, too. Shipping is $3.85 for the first shirt, and then $1.99 for each additional shirt shipped in the same order. Trying to freezer cook for a large family? 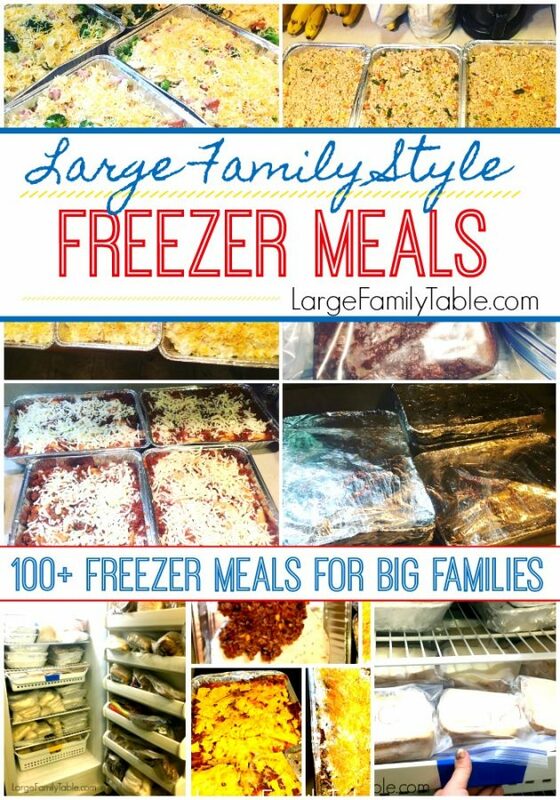 Check out this HUGE list of 100+ Freezer Meals for Big Families. Stop by any 7-Eleven on October 4th and get a free Nesquik Chocolate Milk when you redeem the offer through the 7-Eleven app. Participating Barnes & Noble stores are inviting kids of all ages to a LEGO Ninjago Movie Dragon Mini Model Build event on October 7, 2017 at 11am. 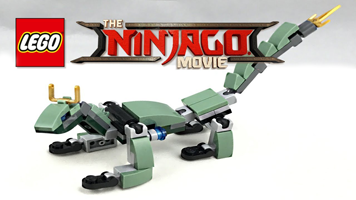 Kids will be able to build and take home a free LEGO Ninjago Movie Dragon Mini Toy.